Welcome to Egan Stone. 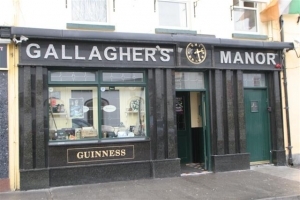 We are a long established family business specialising in high quality Granite, Marble, and Quartz work surfaces, internal stonework, shopfronts and memorials. Here at our factory and showrooms you can choose your preferred stone from the huge range of slabs available. 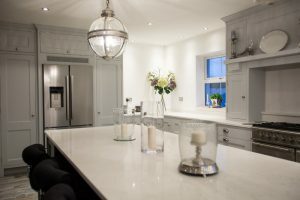 We are always delighted to have our customers involved from the very start of the process and actively encourage them to do so, thus ensuring that the kitchen of your dreams becomes a beautiful hard wearing reality. We also supply vanity tops, for use in your bathroom as elegant enduring countertops. Fire hearths are made to order, as well as a variety of stone surfaces for use around your home. 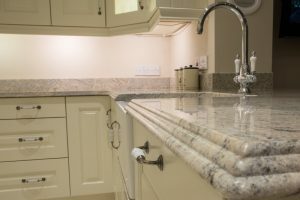 Our stone surfaces are available in a variety of colours of granite, quartz and marble and are imported from all over the world. All these natural stone slabs are of the finest quality and once in place in your kitchen or bathroom will give your home that feeling of luxury and elegance that only top quality stone can deliver. 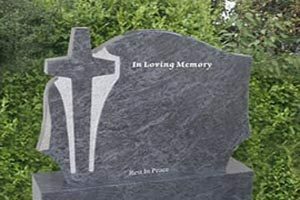 We pride ourselves on a combination of excellent craftsmanship and top quality stone along with an unrivaled choice of slabs and colours. This is why we take every opportunity to invite potential customers to visit our factory and see for themselves. At Egan Stone we have been cutting, fitting, and supplying quality stone for 6 generations, a true family business. Call or contact us for new builds or renovations anywhere in Ireland.